UmCLK is a versatile solution for embedded systems, which allows you to vary reference clock of UmTRX or other SDR transceivers in a flexible way with maximum performance. UmCLK works perfect as an external 26 MHz clock source and UmTRX output signal meets GSM specification requirements thanks to high quality VCTCXO oscillator and modern fractional/integer synthesizer chip ADF4355-2 from ADI. 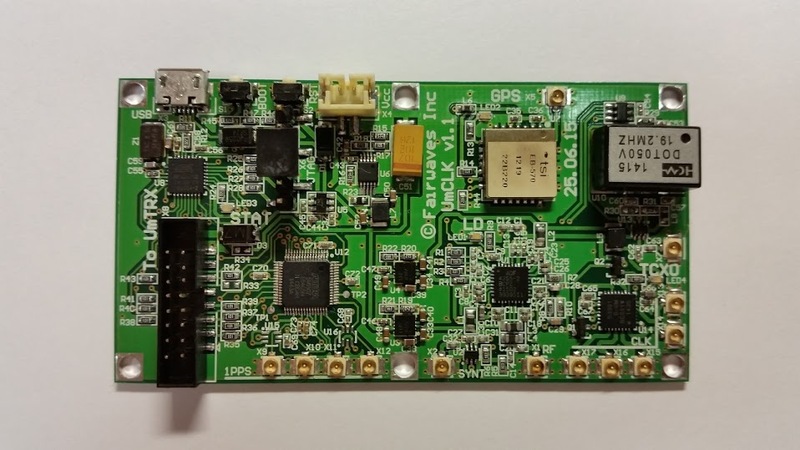 UmCLK also allows you to syncronize clock and 1PPS signals for up to 4 SDR transceivers from single UmCLK board and can be used as RF signal generator from 54 MHz to 4400 MHz for high quality RF/IF converters.